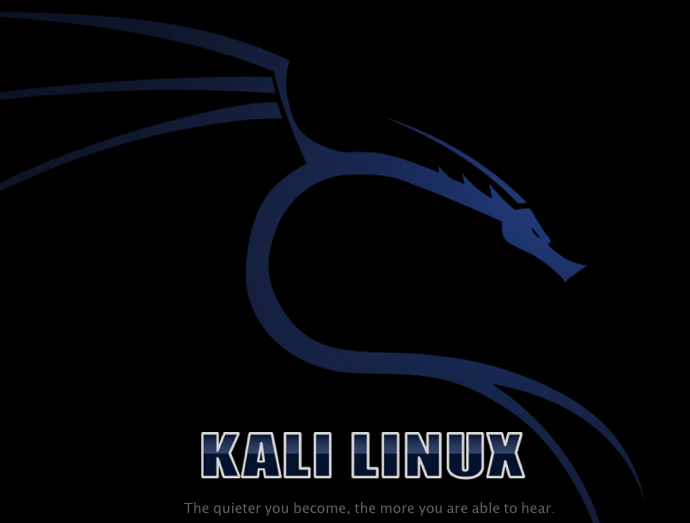 The moment we have been waiting for has finally arrived, Kali Linux has been released! This is huge news for Backtrack Linux fans. Kali is, in essence, Backtrack 6. All you have come to expect from Backtrack is present, and more, but the tool has been reworked from the ground up. Hence the name change to Kali. One of the biggest things you will notice when installing is that Kali is based off of Debian Linux, instead of Ubuntu. The install routine is slightly more involved than Backtrack 5. A quick peek at the menu shows a very good addition. A “Top Ten Security Tools” menu has been added so you can get into your favorite tools faster. Having recently passed the Certified Wireless Network Administrator (CWNA) certification exam I wanted to share some of my study experiences and tips with anyone that could be working towards their CWNA cert. If you’re looking for the secret sauce or any insider information on the questions I saw on the exam I will not be sharing any of that, and it goes against the agreement I signed with CWNP before taking the exam. The best piece of advice I can offer is to master the different 802.11 wireless standards (802.11 prime, 802.11a, 802.11b, 802.11g, 802.11n), the frequencies and channels being used by each standard, the different RF behaviors, and what 802.11 standards are compatible. Almost everything else for the CWNA builds on these fundamentals. There is an entry-level wireless certification from the CWNP called Certified Wireless Technology Specialist (CTWS), and if you’re new to wireless you may want to start with this certification. Everyone learns differently, and being out of the wired and wireless networking job function for a few years I was more deliberate with my studies. All my studies were self-paced and I did not attend any classes or boot camps. This blog is a rough outline of the steps I used to study and pass the CWNA exam. Start by downloading the CWNA exam objectives. Then Download the CWNA common terms. Besides the two links above the CWNP site is a great resource of information. I would definitely recommend signing up for an account and exploring the site. You should find other valuable resources on the site. Next get a copy of the CWNA study guide and start reading! One of the first items in the study guide will be the initial assessment test. Don’t get too hung up on your score. I found there were terms and ideas presented in those questions that were completely foreign to me, but after reading the study guide I went back and retook the initial assessment test and found I had a better understanding of the material and obviously scored higher. I actually purchased the Kindle edition of the study guide and my only complaint with the Kindle version was with the end of chapter tests. The test themselves are great, but when you go to the appendix to get the answers it would really be nice if the questions were repeated in the appendix. On the Kindle Fire I was constantly tapping to go from the question to the answer in the appendix, it was kind of a pain! A work around on the question and answer issue is to download the CD contents for the book which included electronic versions of the practice tests. The electronic test versions are much easier to use and there is no going back and forth from the question to the answer. The CD download not only has the end of chapter tests, but three bonus 60 question practice tests, electronic flash cards, the white papers mentioned throughout the study guide, and the software installs mentioned in the study guide. Every certification I have ever studied for there is always some memorization involved. Usually it is facts, rules, key terms, calculations, etc…, and I like to use flashcards to review and help remember these details. I would also create flash cards for items I get tripped up on. For example I was always getting the ISM 5 GHz frequency band confused with UNII-3 frequency band since there is frequency overlap between the two, so I created a flash card and threw it in my review pile until I had the differences memorized. Instead of using 3 x 5 index flash cards I use a program called Anki for creating electronic flash cards. The really nice feature of Anki is being able to share my electronic flash card decks with multiple devices including my Kindle Fire. If you’re on LinkedIn you can join the CWNA Study group. I posted questions to the group related to the exam or technical questions about wireless topics and always received multiple replies. Twitter is another resource where I posted several CWNA exam related questions and was able to receive answers from people who knew wireless and/or have already earned their CWNA certification. Personal Note: A big thank you to the CWNP/wireless online community! The people I interacted with on the social networks, many of who had several CWNP certs and I would consider the wireless rock stars, were always eager to offer their own advice and tips, and were simply extraordinary to share their expertise. After reading the study guide I then purchased the online practice tests through the CWNP web site. There is a $50 dollar cost to buy a license for the practice tests, but I really liked these tests compared to the end of chapter questions. There are four 60 question tests for a total of 240 questions, and while some of the questions are similar to the questions from the book most are different. The big positive for the online questions is the answers which are very detailed. While working on the online practice tests I started rereading the CWNA study guide. I found the second time through I noticed details I had missed. I didn’t reread the entire study guide, just the chapters or sections that I struggled with based on my end of chapter test scores. I would then retake the end of chapter review tests, and if there was still areas I was concerned with I would either do some Google searches for more information, make flash cards, or post questions to LinkedIn or Twitter. Some of the resources I found online or web pages that were shared with me I have collected in a resource study page on my blog. Hopefully you can find something listed here to help with your studies, and please leave any questions or study tips in the comments section below. Good luck to those planning to take the CWNA exam!